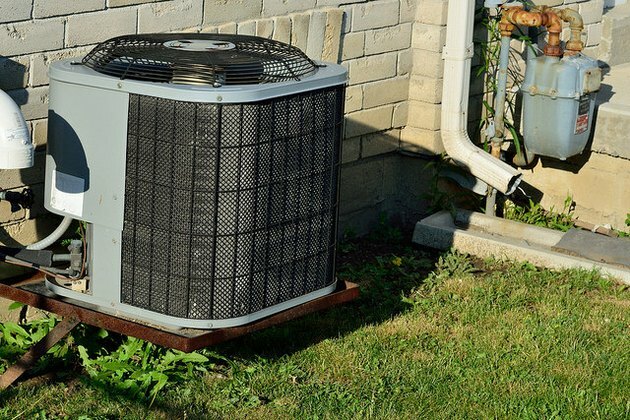 Air conditioners, refrigerators and freezers rely on the circulation of a refrigerant--a chemical that can efficiently remove heat from the surroundings as it repeatedly cycles between the liquid and gaseous states. 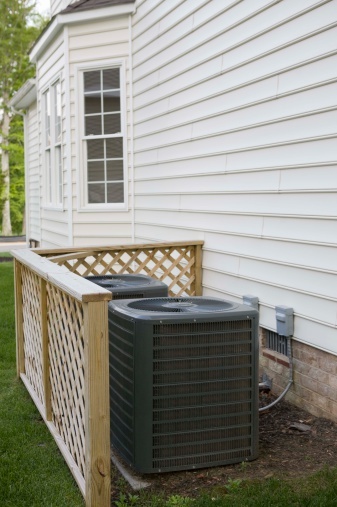 R22 refrigerant belongs to a class of chemicals called hydrochlorofluorocarbons that are being phased out because of their ozone-depleting effects. R134a refrigerant is an alternative that contains no chlorine and hence no ozone depletion potential. It's a greenhouse gas, though, and it doesn't work as well as R22. R-134a refrigerant is less efficient than R-22, but its ozone depletion potential is zero. Artificial refrigeration has been around since 1755. Early domestic air conditioners popularized by American scientist Willis Carrier and others used a number of dangerous chemicals as refrigerants, including ammonia, methyl chloride and sulfur dioxide. A class of inert chemicals called chlorofluorocarbons (CFCs) was developed in the 1930s to replace ammonia, and they were praised for being completely safe and stable. Unfortunately, it was later discovered that their very stability allows them to float into the upper atmosphere, where ultraviolet sunlight breaks them down and releases ozone-depleting chlorine. CFCs were banned by an international treaty agreement known as the Montreal Protocol in 1987, and scientists have since developed alternatives. Like R12, which is the original ozone-depleting refrigerant, R22 is marketed under the brand name Freon, and it's one of the earliest CFC alternatives. Its chemical name is chlorodifluoromethane, and while it isn't technically one of the CFCs banned by the Montreal Protocol, it belongs to a closely related class known as hydrochloroflurocarbons (HCFCs). These refrigerants also contain chlorine that can potentially find its way into the upper atmosphere. HCFCs like R22 are being phased out of production and will be all but illegal in 2020. R134a belongs to another class of CFC alternatives, called hydrofluorocarbons (HFCs), that don't contain chlorine. Its chemical name is tetrafluoroethane. It isn't the only CFC alternative on the market, and it isn't the best. HFCs may not be ozone depleting gases, but they contribute to global warming, and R134a has more global warming potential than other HFCs, such as R152a. This fact has led the European Union to ban R-134a from use in new vehicles. The ban became effective in 2011. R134a has a lower thermal conductivity than R22, so an R134a system needs a larger heat exchanger. A system circulating R134a needs a drier, because of the propensity of the refrigerant to absorb water. R134a swells the rubber components in the refrigeration system and causes leaks. R134a corrodes copper, so the system must include an additive to prevent it. R134a systems require special lubricating oils that are, on the whole, inferior to those used in an R22 system. One last thing: R134a costs more than R22, and the costs of maintaining an R-134a system are also higher.